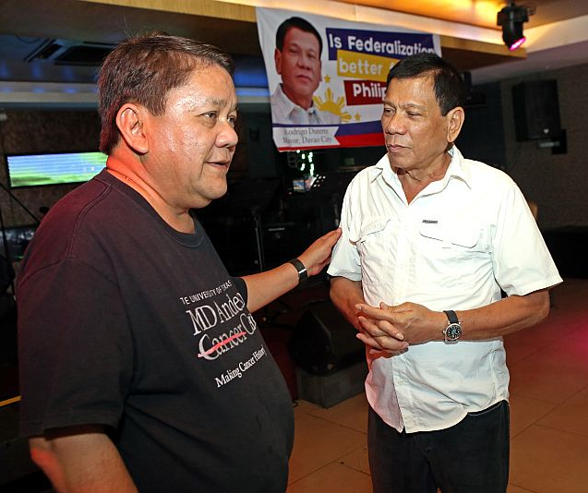 Last Thursday evening, Duterte attacked Cebu City Mayor Osmeña for making up stories about him and saying that he is an illegal drug trade protector. One of his staff was asked to arrange a meeting to an official whom he did not name at first. 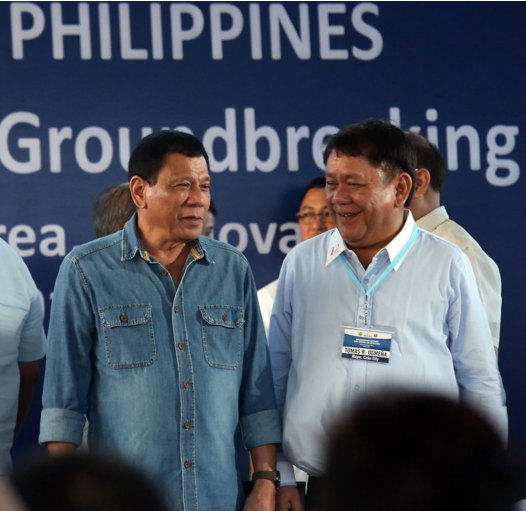 According to Duterte in a speech during Mandaue City’s 49th Charter Day celebration, “I came here because i wanted to speak with a certain official. Kung magkita mi, tamparoson nako sya (If we see each other, I will slap him),"
The official was slammed for allegedly saying, Ayaw hilabti ang Cebu, kay amo ni (Leave Cebu alone. This is our turf.) He named Osmeña. "Who are you to say that? As if you own Cebu? By what right? Just because you were a former president's son or grandson?” He added. Osmeña is one of the late President Sergio Psmeña Sr. who is the only Cebuano who became the President back in the Commonwealth period from 1944 - 1946. "Kahibaw ka unsay sakit nimo, Tom? Hubris, proud ba, hambugero, kanang tawo nga tan-aw niya dili siya masayop (You know what your problem is, Tom? Hubris, you are proud, arrogant. 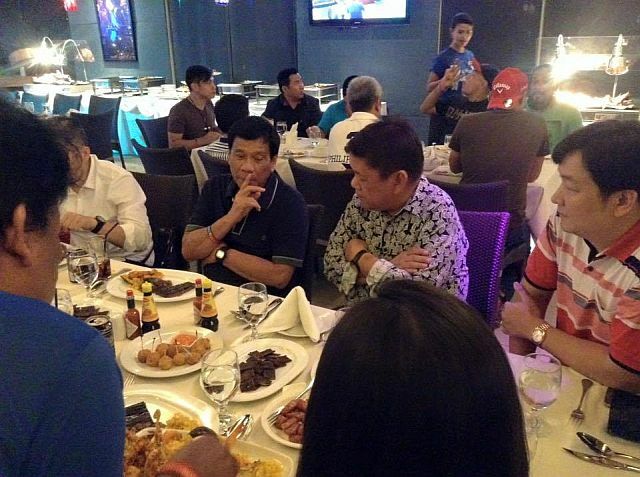 You think that you could not make a mistake)," Duterte said. 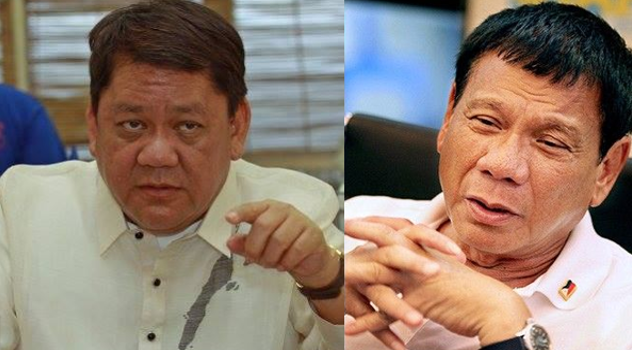 Duterte pointed out Osmeña because of his arrogance. "Cebu City is not your property. It has never been your territory. You are there because you have a name," he added. Back in 2008 Mayor Osmeña underwent surgery to remove his urinary bladder, prostate and 42 lymph nodes and up to this time he has a drainage bag which is attached to his stomach and still undergoes medical check-up annually; Duterte made fun of this. According to Osmeña on his Facebook post, Duterte should know that there are two sides to any story.